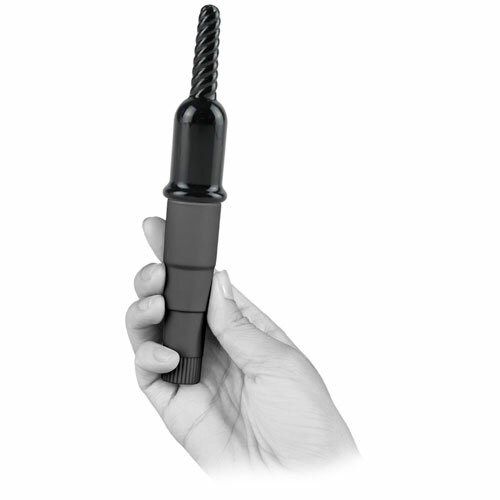 Fetish Fantasy Series Limited Edition Mini Mite Vibe with Attachments Black. Small in size, but BIG in power! This mini-mite comes complete with four head attachments and a P-Spot Teaser for the discriminating couple! Play in the bedroom or play in the shower. No matter what you do, or where you do it, you'll have an orgasmic experience every time! Features and Functions: Luv Touch, Phthalates Free, Waterproof, Discreet, Vibrates. Battery Info: Requires 1 AA Battery, Not Included. 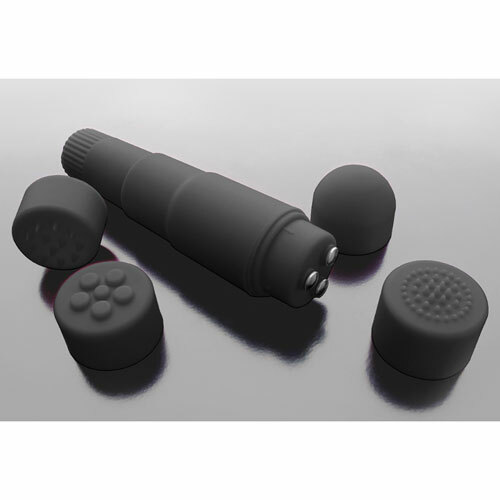 Materials: Massager: ABS Plastic with Polyurethane PU Cote, Teaser: TPE Rubber, TPR Rubber, Head Attachments: ABS Plastic with Polyurethane PU Cote. Always clean before and after use. Remove battery prior to storage.